Product prices and availability are accurate as of 2019-04-24 09:47:07 UTC and are subject to change. Any price and availability information displayed on http://www.amazon.com/ at the time of purchase will apply to the purchase of this product. 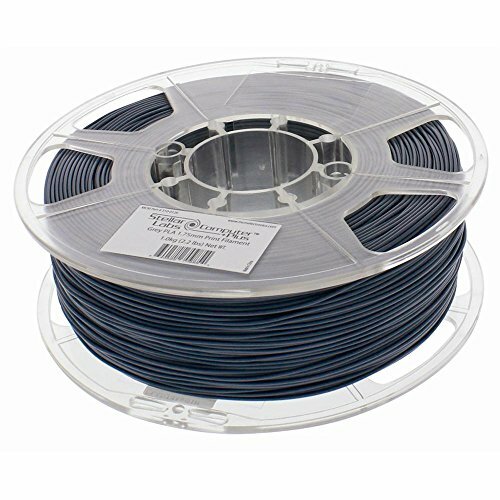 Stellar Labs PLA is an excellent filament for 3D printing because the PLA glass transition temperature - where it becomes amorphous and moldable - is relatively low at 60-65°C. The actual melting temperature is higher at 190~220°C. Again, because it's made out of by-products, PLA is one of the cheapest filaments readily available for home 3D printing. Sugar cane and other starch products are, of course, renewable resources, so PLA is biodegradable and a renewable product.